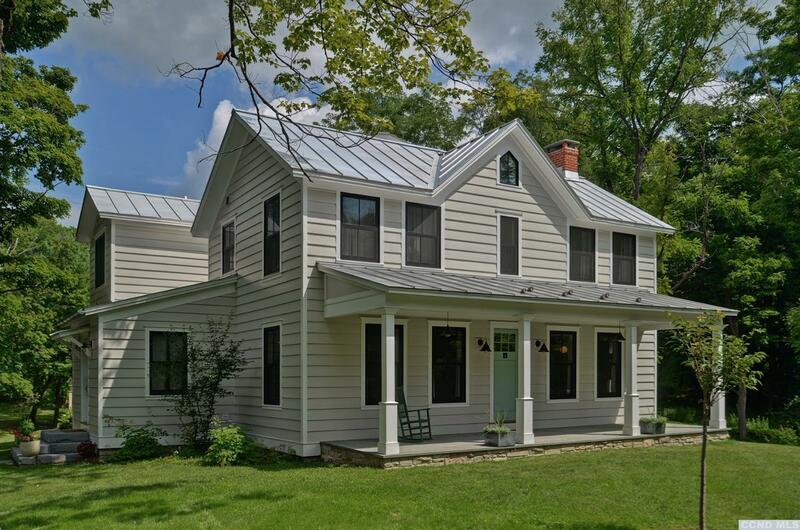 Set on a scenic, quiet road, this modern farmhouse has 3 bedrooms, 3.5 baths and a fully finished lower level. Vintage Barns are also situated on the 6.53 beautifully landscaped acres. Entering the house you are well aware of the thoughtful use of complementary materials - from the original 1860's wide board floors that create a ground for the crisp, contemporary, open space, to the well-planned use of new materials, details and textures. This is a house you want to spend time in. It is bright and invigorating, comfortable and stylish.